With racing season being (almost) over and Summer coming to an end, the time of bike packing trips are lying ahead. And when it’s beautiful Indian Summer weather, but no time for a longer tour, there are enough interesting places in the area to go for a Small Escape spontaneously. 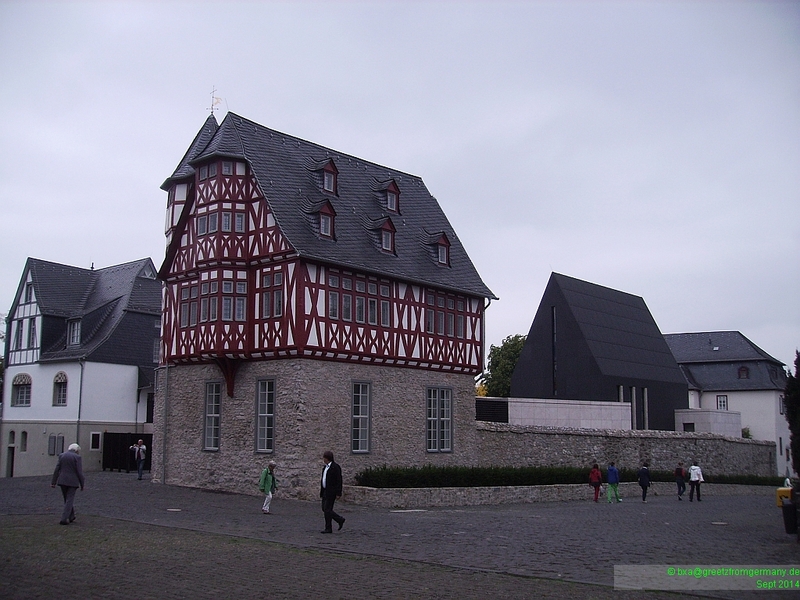 Limburg, e.g., is only a leisurely 2-hour ride away – so why not go and take a look at those building the infamous Franz-Peter Tebartz-van Elst triggered such bad press (and, ultimately, the end of his time as bishop of Limburg) with about a year ago. 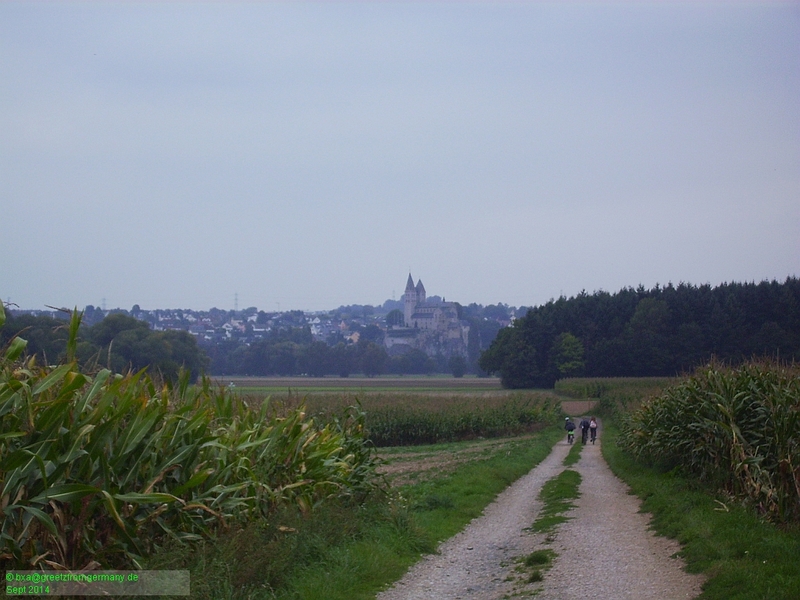 It is, indeed, quite impressive, the cathedral of Limburg which Tebartz-van Elst was bishop of for some six years. 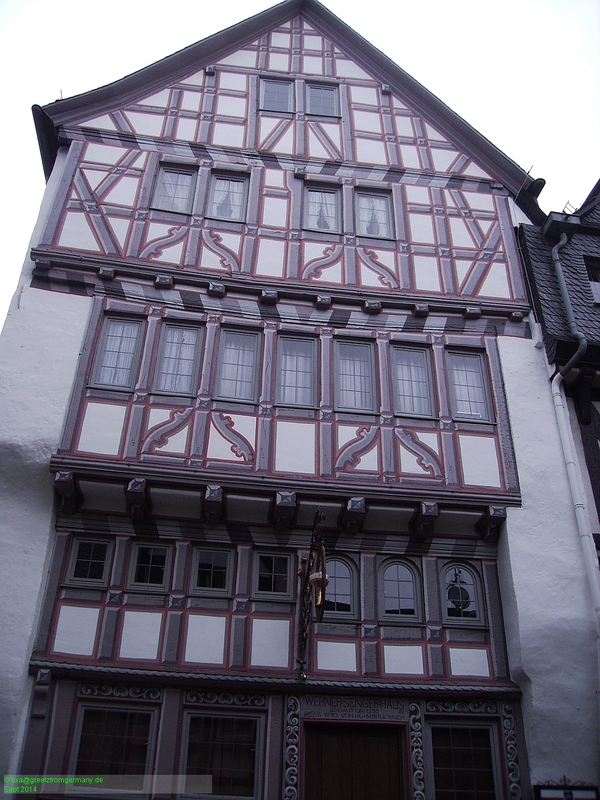 No less impressive is the half-timbered house that serves as the vicarage – and must be even more impressive inside (in reading the papers, one got the impression that „pompous“ or „luxurious“ may describe its interiors even more appropriately). 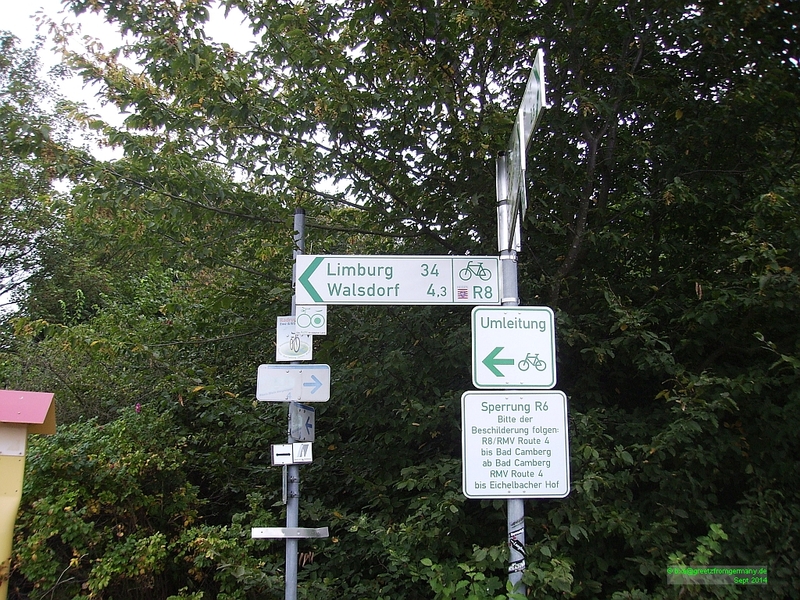 But especially due to the tightly woven architecture of Limburg’s historic center, this is not necessarily very good biking terrain. Hence, most bikes seen there are either ridden by bike packers who temporarily don’t have any other means of getting from A to B. 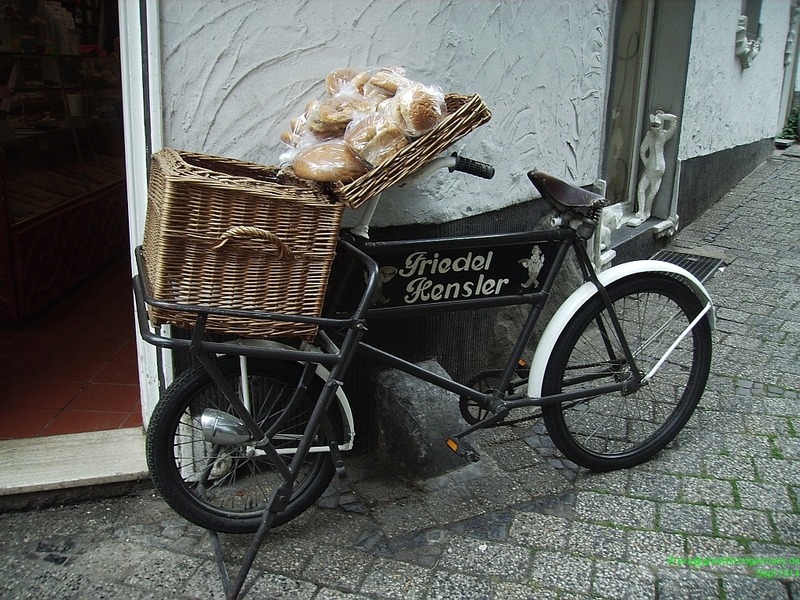 Or bicycle-converted-to-PR vehicles altogether. 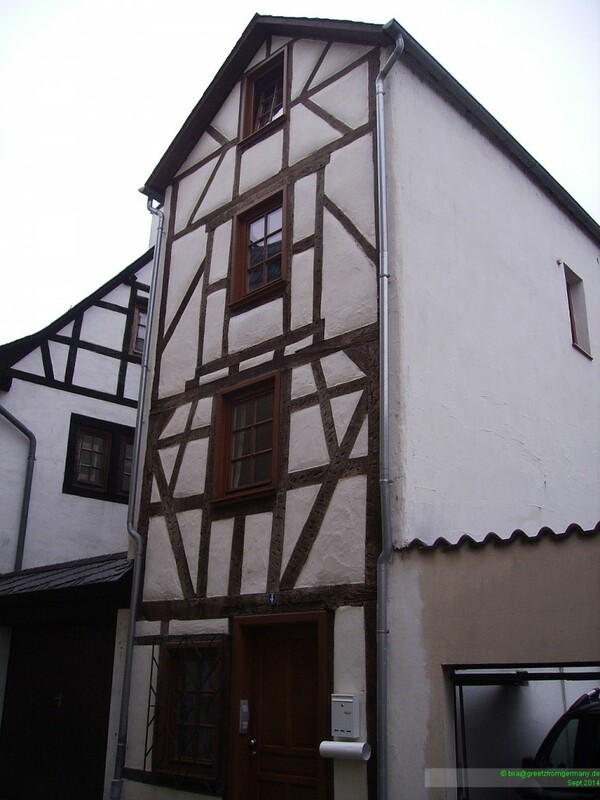 What a lot of tourists who did not arrive by bike may not know, however, is that there is another nugget of historic architecture very close by, in the little village of Dietkirchen. 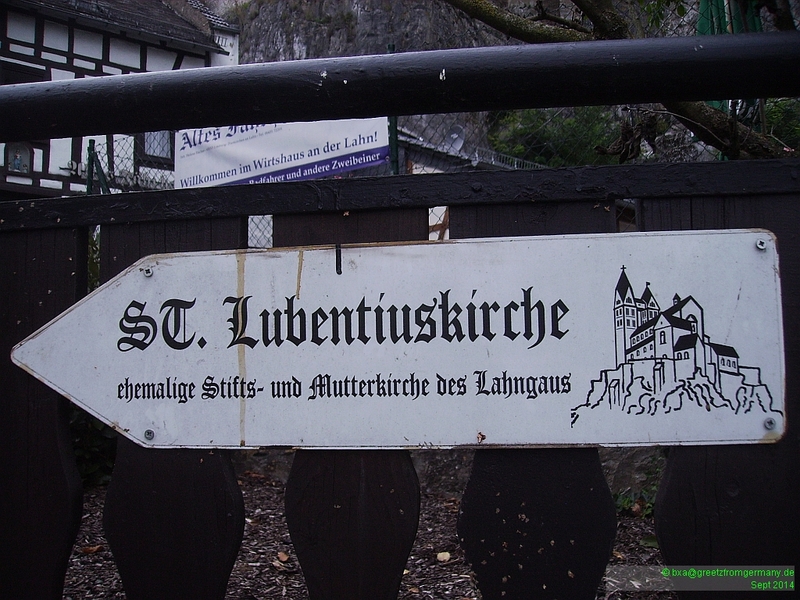 While politically part of Limburg today, this little place was the first seed of Christianity in the area. As far back in history as in the early 700s, the first church was built here and spread the word about Christ and Christianity to the rural people in the area to whom this was a completely new thing. 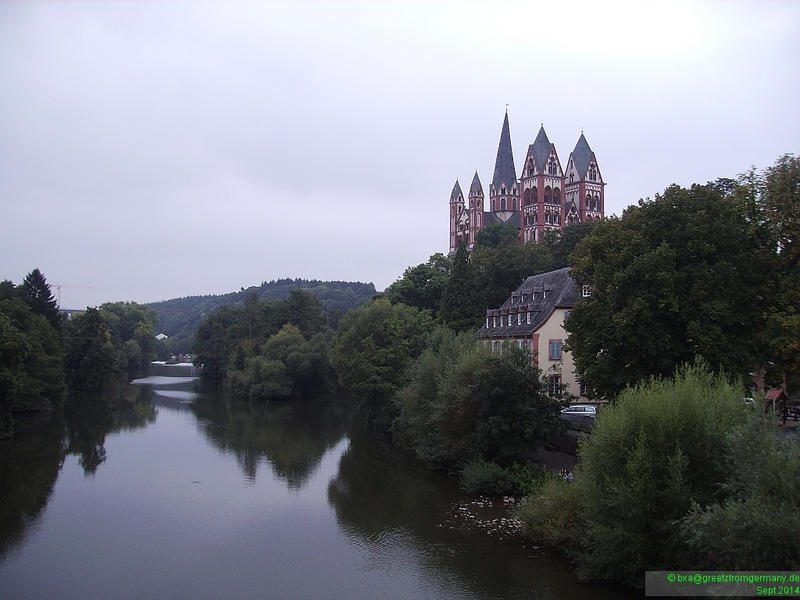 And where St. Lubentius church is still presiding as impressively and commanding above the river Lahn as the cathedral of Limburg is just a stone’s throw away, there was a pagan place of worship already back in chalcolithic age, i.e. ca. 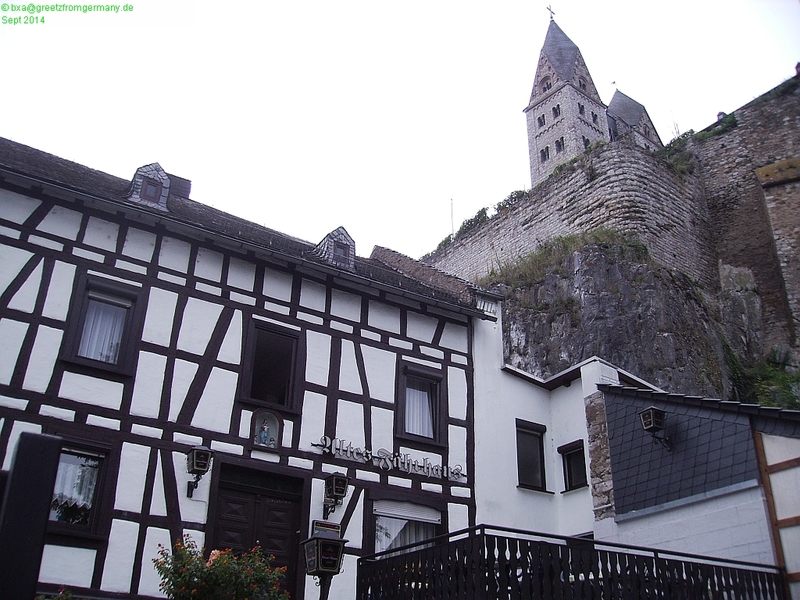 3,000 BC … No way, Limburg cathedral can compete with that. To have a relaxing get-away with tons of new and interesting impressions, you don’t need to take weeks off from work nor get into the car or onto the plane. 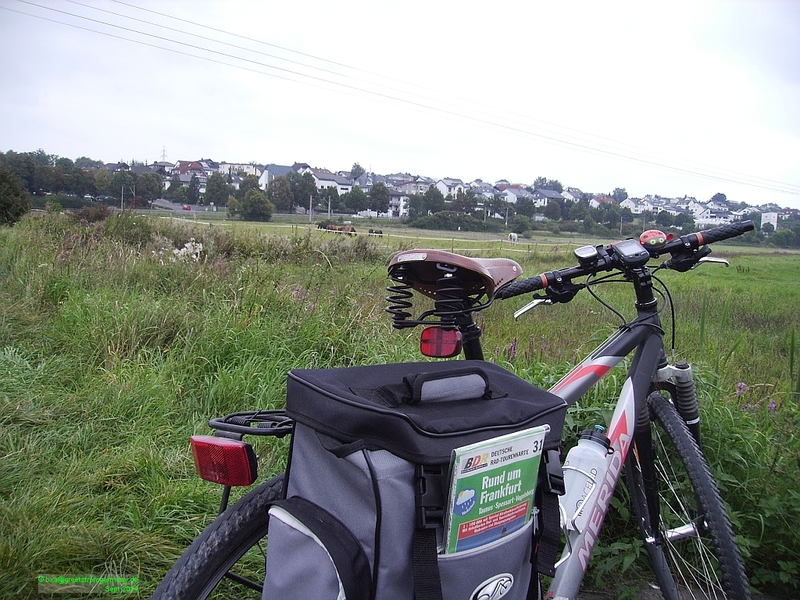 Take your bike, a good map and a day to spare – and open your eyes for the things the regular tourist will just speed by obliviously.